IoT Payments Backers Say Devices Will Range from the Familiar to the Far-Fetched | NFC Times – Near Field Communication and all contactless technology. 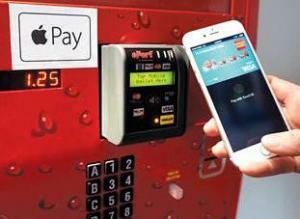 USA Technologies, an enabler of payments at such unattended points of sale as vending machines, says it considers its cashless terminals to be part of the IoT payments ecosystem. That includes enablers of payments at unattended points of sale and providers of NFC-enabled advertising, which appear to be recasting their products as IoT devices. U.S.-based unattended POS vendor USA Technologies views vending machines, unattended laundry machines and self-service kiosks and micromarkets as part of IoT, according to USAT’s senior vice president of sales and marketing Maeve McKenna Duska. Article has about 2130 words.